WASHINGTON — For years, the Pentagon has maintained that no civilians have been killed in American airstrikes and raids in Somalia. Amnesty International, in a new report released on Tuesday, put the death toll at 14 since 2017 alone. The report linked the killings to President Trump’s decision to relax rules for preventing civilian casualties during American counterterrorism strikes in Somalia. Amnesty said it examined five airstrikes that killed 14 civilians and injured eight. “In the incidents presented in this report, civilians were killed and injured in attacks that may have violated international humanitarian law and could, in some cases, constitute war crimes,” the report said. It called into question repeated claims by United States Africa Command that there have been no civilian casualties from American strikes against the extremist Islamist group known as the Shabab. The report also attributed the discrepancy to failures by the American military and the Somali government to adequately investigate claims that civilians were killed in airstrikes and raids by United States forces. Africa Command disputed the report’s findings and maintained it had killed zero civilians in Somalia. “Our assessments found that no Africom airstrike resulted in any civilian casualty or injury,” the command said in a statement. Instead, American military officials said, extremist groups in Somalia are making up casualties and coercing locals to make false claims of civilians killed. 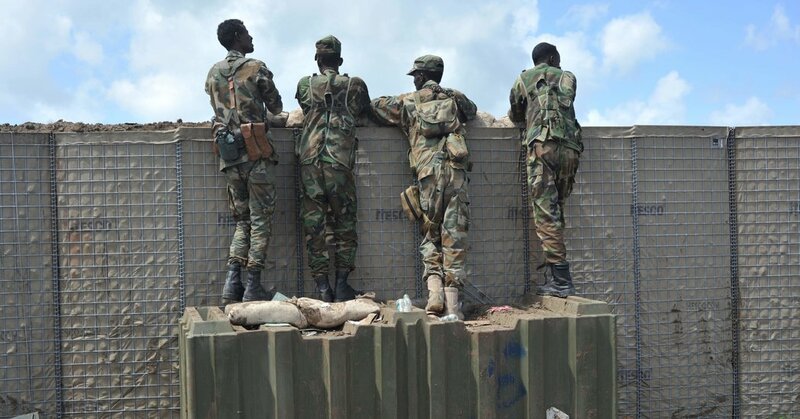 “Al Shabab and ISIS-Somalia have a history of placing their forces and facilities in and around civilian locations to conceal and shield their activities,” the statement said. But during a conference call on Tuesday with reporters, Defense Department officials acknowledged that it was difficult to verify civilian casualties because most American airstrikes and raids take place in areas that are controlled by the Shabab. Before Mr. Trump took office, the military was generally required to follow standards that President Barack Obama imposed in 2013 for counterterrorism strikes beyond Afghanistan, Iraq and other conventional war zones. Those rules, known as the Presidential Policy Guidance, required high-level interagency vetting of proposed strikes. They also said that the target must pose a threat to Americans and that there must be near certainty that no bystanders would die. In March 2017, Mr. Trump signed a directive declaring parts of Somalia an “area of active hostilities,” where war zone targeting rules would apply. Under the new guidelines, Africa Command could treat Somalia under less restrictive battlefield rules. Without interagency vetting, commanders could strike suspected Shabab fighters even without reason to believe they posed a threat to Americans. In addition, the guidelines opened the door to permitting some civilian deaths if deemed necessary and proportionate to the threat. “The civilian death toll we’ve uncovered in just a handful of strikes suggests the shroud of secrecy surrounding the U.S. role in Somalia’s war is actually a smokescreen for impunity,” Brian Castner, Amnesty International’s senior crisis adviser, said in a statement. But Amnesty acknowledged that its investigators were also hampered by security concerns. As with Africa Command, that prevented Amnesty from conducting on site interviews and limited aid workers’ ability to freely gather evidence. The group said it interviewed a total of 142 witnesses and survivors, with 65 who had witnessed strikes where civilian casualties were confirmed. In one case, the report cited a drone strike on Oct. 16, 2017, against a Shabab vehicle. The attack missed its target and killed two civilians and injured five, including two children. In 2013, the Shabab carried out an attack at the Westgate mall in Nairobi, Kenya, killing more than 60 people and wounding more than 175. Since then, it has adopted more sophisticated forms of terrorism, including nearly bringing down a Somali airliner in 2016 with a bomb hidden in a laptop computer. To counter the Shabab, the United States has used Special Operations forces, airstrikes, private contractors and assistance from African allies.